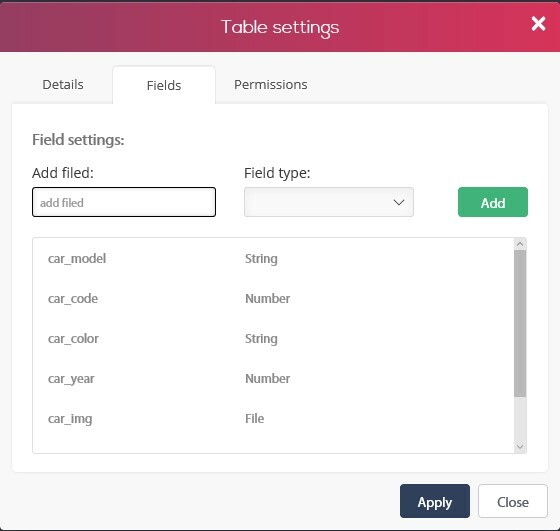 View, create, edit and set the permissions of your database tables. A. Table details - name and stats. B. 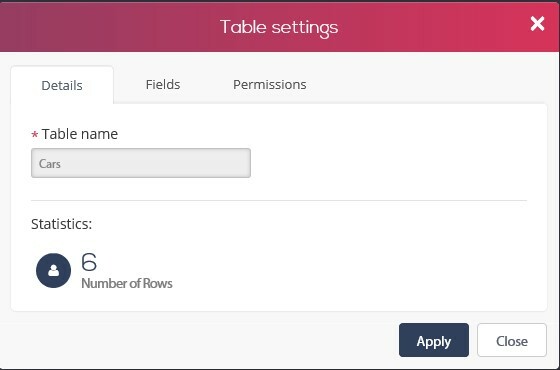 Fields - define your tables columns. 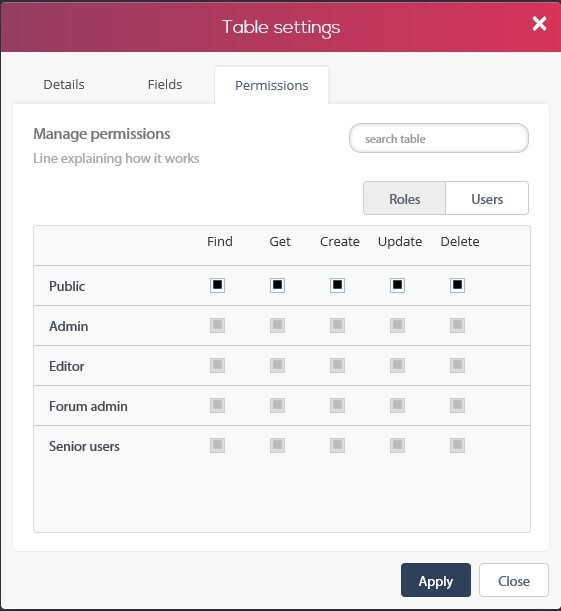 A. Permissions - set the permissions of table by your different roles and users. 2. 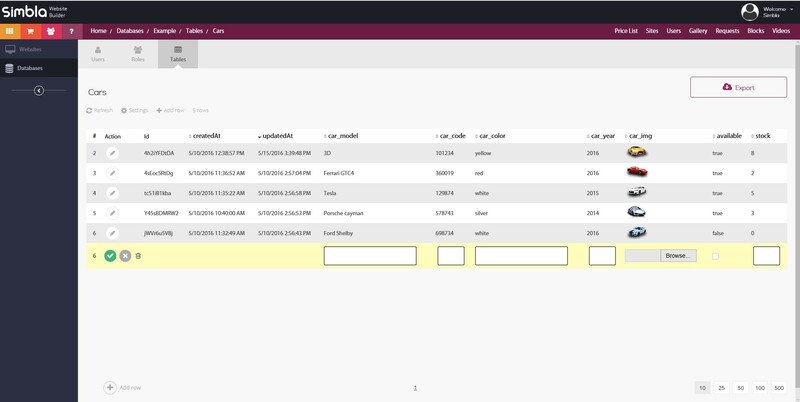 Edit - clicking on edit will send you to your table where you will be able to manually add, edit or delete rows of data. 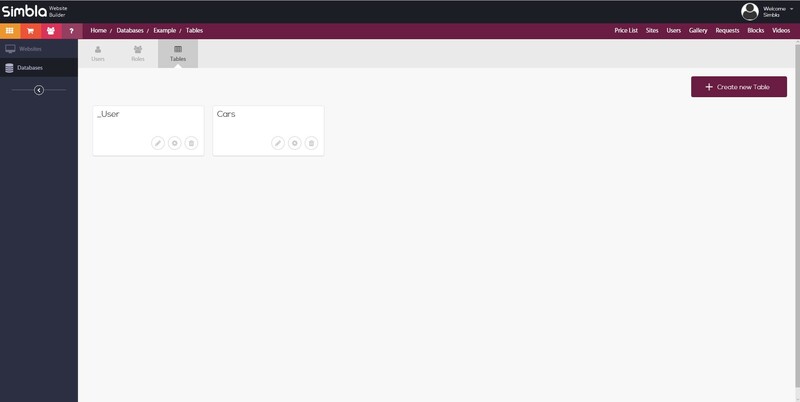 Here you will also be able to export your table. 3. Delete - will delete the whole table and permissions, so always keep a backup by exporting your table before making any changes!